In my recent blog about Bali, I expressed my sadness about how the uniqueness of Bali was being paved over by homogenous global resort brands. However, there is something very charming about indigenous tourism that grows up in out of the way places such as on Samosir Island in Lake Toba. 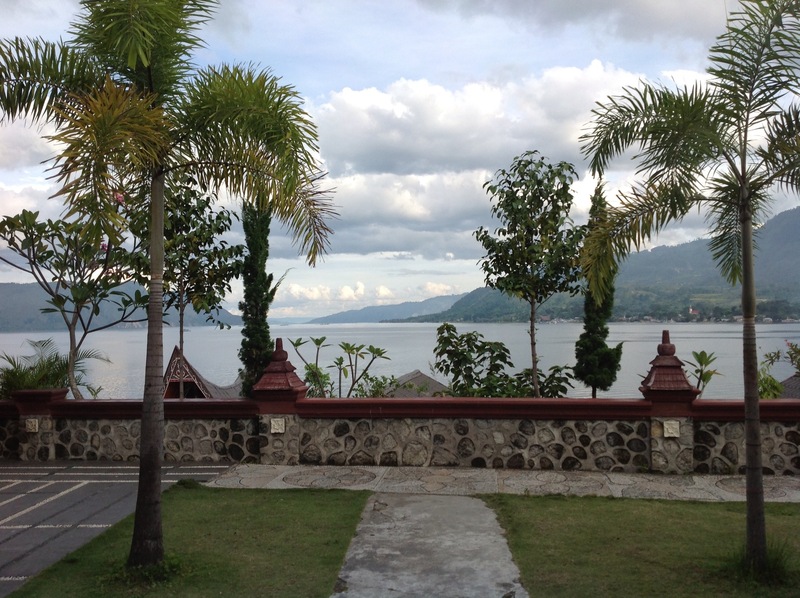 View of Lake Toba from the restaurant at Samosir Cottages in Tuk Tuk Village, Northern Sumatra. [SOURCE] © 2013 Greg Chase, according to Creative Commons License, use with attribution. Cross posted from my guest blog at Vtricity. When was the last time you heard the term Resilience? Was it when you took high school physics class? Unless you have a job of planning for worst possible circumstances, you rarely even confront the term in day-to-day usage. Even talking about resilience probably feels morbid, like buying life insurance or planning your will. 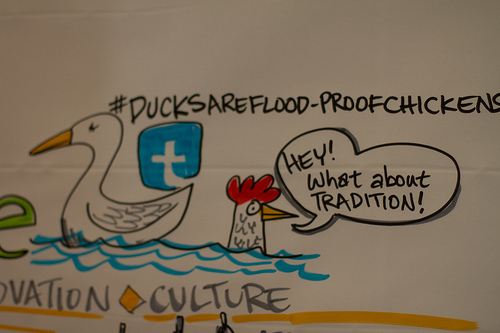 Thinking resiliently: are ducks really flood-proof chickens? As Superstorm Sandy roared through New York and New Jersey, most of us saw the horrendous pictures of flooding and destruction wrought by the storm on the news and on our social media feeds. Then came the final hours of the election campaign, and suddenly many of us not directly impacted by Sandy are no longer hearing about the aftermath. The truth is that while many people have had their power and utilities restored, there are many still with out. Lines for the few gas stations that have power are immensely long, and this is leading to price gouging by a few “enterprising individuals“. In especially hard hit places such as Queens and Staten Island, people have been evacuated, or are trying to survive without access to utilities and basic services. 1) The fourth grade girls who dropped off bagged lunches for the hungry, complete with motivational drawings on each bag.